Dr Daniel Ramp is a conservation biologist with an interest in animal behaviour, road ecology, biogeography and wildlife-human interactions. As a Senior Lecturer in the School of Environment at UTS, he has published widely on science that informs conservation initiatives aimed at understanding, mitigating, and adapting to environmental change. 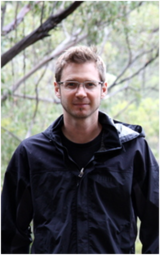 With a long interest in marsupials from the family Macropodidae, including a PhD from the University of Melbourne on eastern grey kangaroos, Daniel is a co-founder of THINKK, the think tank for kangaroos as well as a Director of Voiceless, the Animal Protection Institute. Recently, Daniel along with other THINKK researchers contributed a chapter on Compassionate Conservation: a paradigm shift for wildlife management in Australasia for the new book Ignoring Nature No More: The Case for Compassionate Conservation. 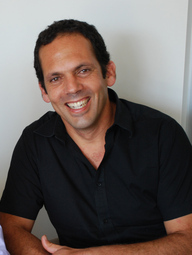 Dr Dror Ben-Ami has been involved in environmental activities for nearly 15 years. Dror graduated BA from UC Santa Cruz, USA, Masters Qualifying Diploma and PhD Ecology from the University of New South Wales, Australia. His dissertations were on the Eastern Grey Kangaroo in north western New South Wales and on the life history of the swamp wallaby, Wallabia bicolor, and peri-urban adaptive wildlife management. He was a research assistant at the University of New South Wales, focusing on road ecology; Conservation Biology lecturer at the Arava Institute for Environmental Studies, Israel; and a postdoctoral research fellow at Ben Gurion University, Israel, focusing on wildlife disease dynamics. Dror designed one of first wildlife corridor projects in Israel on behalf of JNF Israel. He is currently working with the Sherman Group on the development of environmental technology investment concepts and as a Research Fellow with THINKK. Stuart White is Director of the Institute for Sustainable Futures where he leads a team of researchers who create change towards sustainable futures through independent, project-based research. With over twenty years experience in sustainability research, Professor White’s work focuses on achieving sustainability outcomes at least cost for a range of government, industry and community clients across Australia and internationally. Professor White has written and presented widely on sustainable futures and is a regular commentator on sustainability issues in the media. 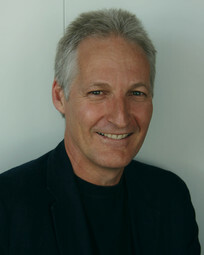 He won the 2012 Australian Museum Eureka Prize for his work on phosphorus. 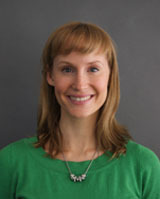 Keely Boom is a research fellow with THINKK and an animal law and environmental law expert. Keely graduated from the University of Wollongong with a Bachelor of Commerce and Bachelor of Law (Honours). She has a Graduate Diploma in Legal Practice and has been admitted to practice as a lawyer in NSW. Her research focuses on the law and policy governing the killing of kangaroos. Keely was the first intern to be taken on with animal protection institute Voiceless and served as an intern with the legal unit of Greenpeace International in Amsterdam. She is a PhD candidate at the University of Wollongong and is Executive Officer of the Climate Justice Programme. Louise Boronyak is the Manager of THINK Wildlife and a Research Consultant at the Institute for Sustainable Futures, UTS. Louise has a Bachelor of Economics and a Masters of Environmental Management from UNSW. Louise has a strong interest in sustainable development and particularly the need for compassionate conservation through the integration of environmental and animal protection. She possessed skills in effective stakeholder and community engagement across a range of issues. Prior to joining ISF, Louise volunteered at an animal rescue centre in the Amazon basin of Ecuador where she cared for illegally trafficked animals and worked on programs that promoted alternative income generation to reduce reliance on trafficking. Christine Townend founded Animal Liberation in Australia in l976. She was a member of the NSW State Government Animal Welfare Advisory Council for eight years. She is a published author, one of her most influential books being Pulling The Wool, a New Look at the Australian Wool Industry (1985) which led to a substantial re-think on the way in which the Merino is raised in Australia. She founded Animals Australia (ANZFAS) with Peter Singer in l985. From 1990 to 2007 she lived and worked in India as Managing trustee of an animal shelter in Jaipur, and also founded two new shelters in Darjeeling and Kalimpong, West Bengal. She is an artist, her paintings of animals being held in many private collections. David holds a BSc. Honours degree and University medal from the Flinders University in South Australia, and a PhD from the University of Cambridge in England. David commenced research on the behavioural ecology of kangaroos (red kangaroos and euros) at the University of NSW Fowlers Gap arid zone research station in 1976. From then, David taught a popular course in Animal Behaviour and latterly a course about Life in Arid Lands at UNSW while continuing research on various species of macropods in temperate, arid and tropical regions. This research included the studies of a large number of Honours and PhD students under David’s supervision and has produced many research papers and several edited books. These document the results of fundamental studies on macropod behaviour and ecology and applied studies of people-wildlife interactions in nature-based tourism and encounters such as wildlife roadkill. David finished his career with UNSW as Director of the Fowlers Gap Research Station while maintaining a teaching/research position in the School of Biological Earth & Environmental Sciences. David now lives on a tropical savanna block in the Top End and continues research and consultation on wildlife issues, and interests in the promotion of wildlife tourism with Australia’s diverse kangaroo fauna. 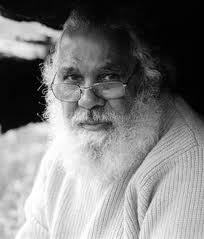 Max Dulumunmun Harrison, or Uncle Max as he is widely known, is an Elder of the Yuin people. Uncle Max grew up on the South Coast of NSW as part of a close community where some boys and young men were still selected for initiation into ancient ways. As an adult, seeing the widespread marginalisation of his people and lack of acceptance of traditional teachings, he began what has become his life's work - providing a way for others to understand Aboriginal culture. Over the past three decades, he has taken over 6,000 people onto country - teaching international students, architects, environmentalists, government ministers and advisers, medical practitioners and researchers his traditional culture. He has been consulted by government on land rights issues and shared the podium at major events with spiritual leaders fom around the world, including the Dalai Lama. In 2009 he presented at the Parliament of the World's Religions in Melbourne.